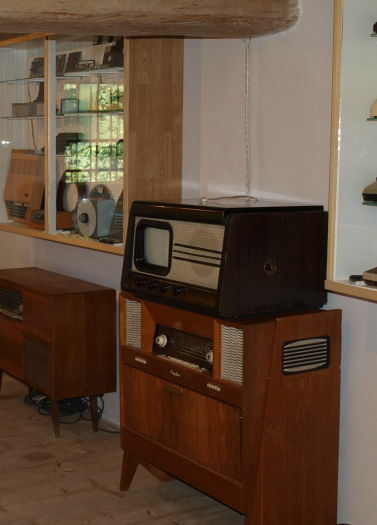 In July 2013, at the occasion of 60-year anniversary of the beginning of the first TV broadcasting, the exhibition of several working TV sets was open. 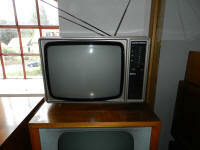 These TV sets present interesting milestones in history of the production of this consumer electronic. 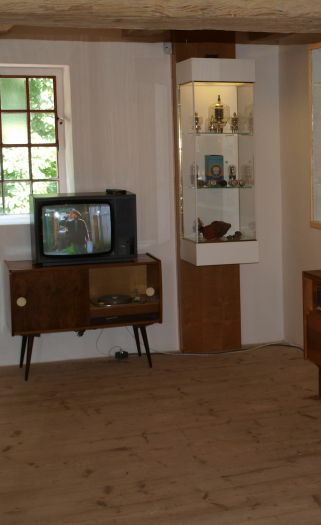 The TV sets were borrowed from a private collection and for the occasion of the exhibition they were restored and revived again in workshops of Martin Hajek (www.oldradio.cz) and Historical Czechoslovakian Radio-club (www.hrcs.cz). The exhibition will last till cancelled. 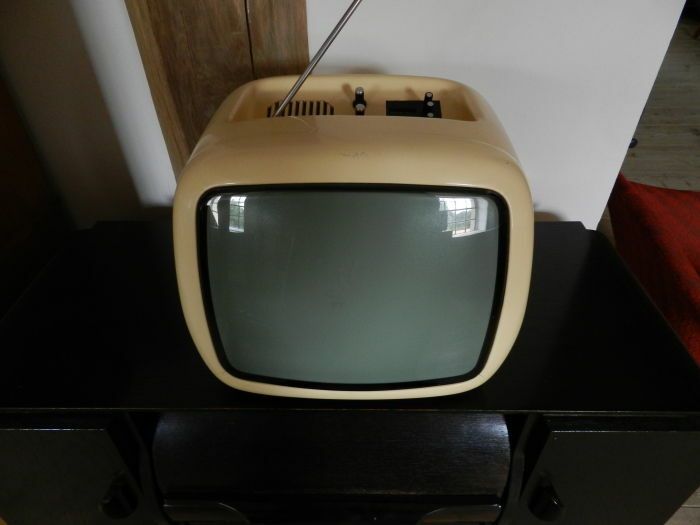 TV set Tesla 4001A is the very first of the TV-set series, which was launched for sale in 1953 and serial produced in Tesla Strasnice. It is a directly amplifying TV receiver made for the 1st channel according to the CZ TV Standard with inter-carrier audio processing and with the power supply of AC 120-220 50Hz. 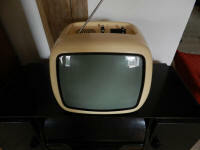 TV set Tesla 4211U „Lotos“ is the first CZ TV set with PCB and with the screen deflection angle of 110°. The device has a connector for the cable remote control on its rear side, this remote control makes regulation of volume as well as picture brightness and contrast possible, it also enables switching the device off was. It was launched for sale in 1961. Tesla C446 „Color“ is one of the last products of this receiver series. The device is designed for colour TV broadcast receiving in SECAM IIIb and PAL with the soundtrack in CCIRT and OIRT. It is also equipped with EURO AV (SCART) socket for connection of the audio-visual devices. The remote control is naturally included. It was launched for selling in 1991. 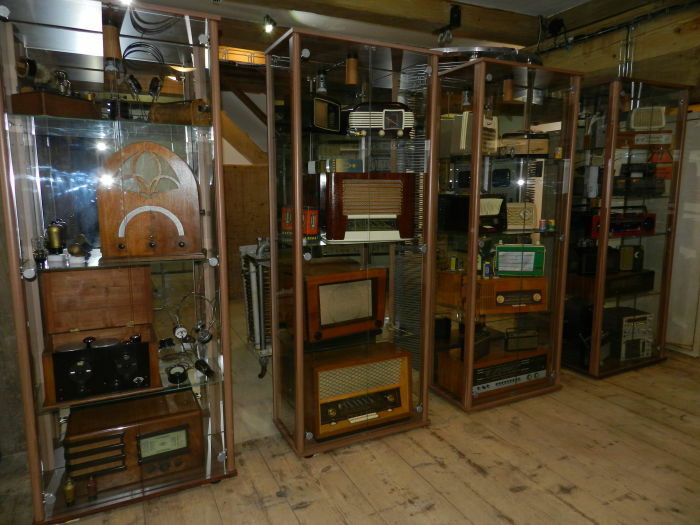 In May 2015, we managed to extend the exhibition with two portable TV sets which represent a sample of possible receiving TV signals at the cottages or campsites without a need of a firmly mounted receiving antenna. 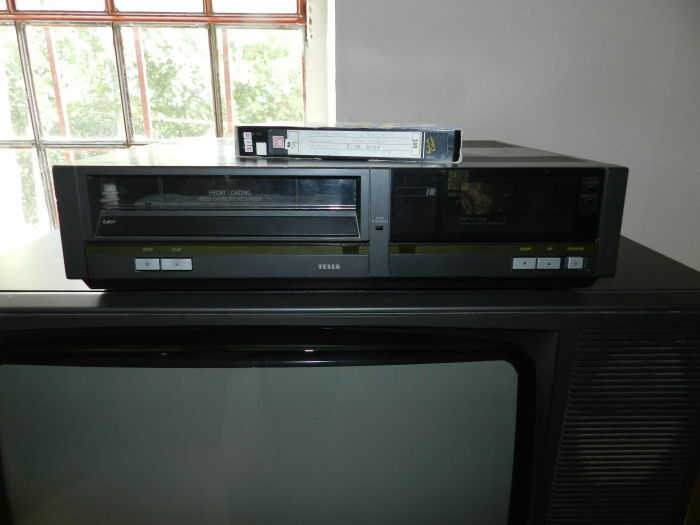 There is also another addition: a VCR, which began a long and popular era of recording images and sound on magnetic tapes in VHS format. 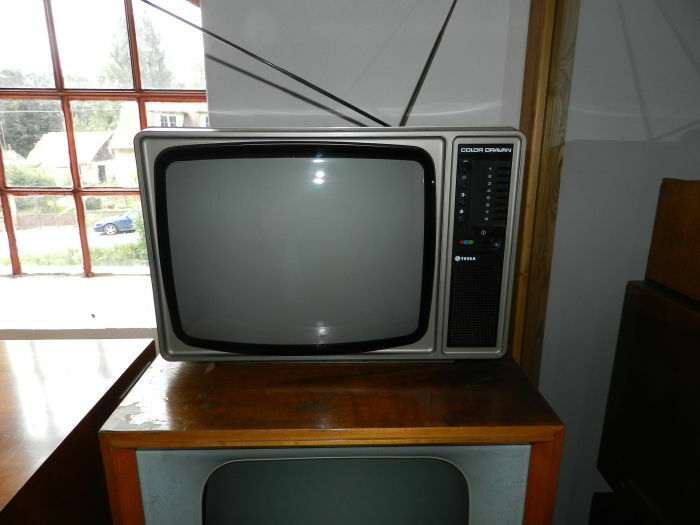 Colour TV set with automatic switching of PAL / SECAM IIIb and with audio standard CCIR and CCIR. The screen is 42 cm diagonally, there are 8 mechanical presets. 220V power supply. Launched in 1989. 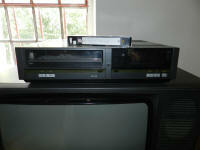 VHS VCR system manufactured under license by Philips has 4 engines, front cassette loading, remote control. An analog antenna tuner is included, also the antenna input and output connection EURO AV (SCART) and UHF modulator. Launched in 1987, its price was 15 810 CZK. 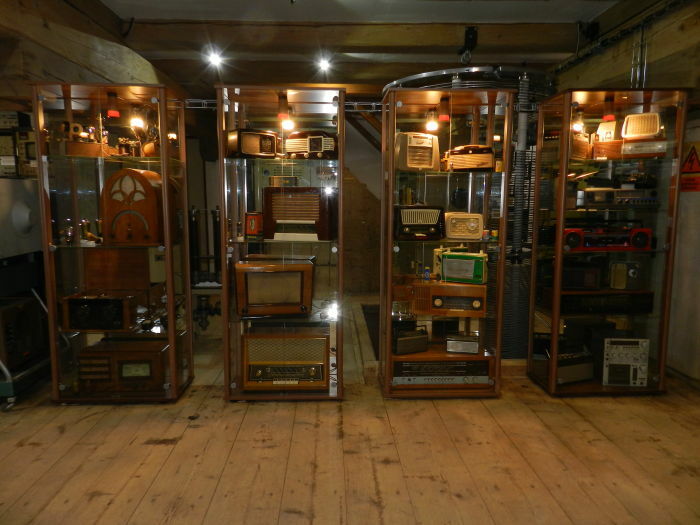 On 26th July 2015 the exhibition of radio receivers was opened. The receivers document their development from the very beginning in the 1920s to the devices that were used in our homes in the 1980s and 1990s and which, thanks to its quality of have survived until today. 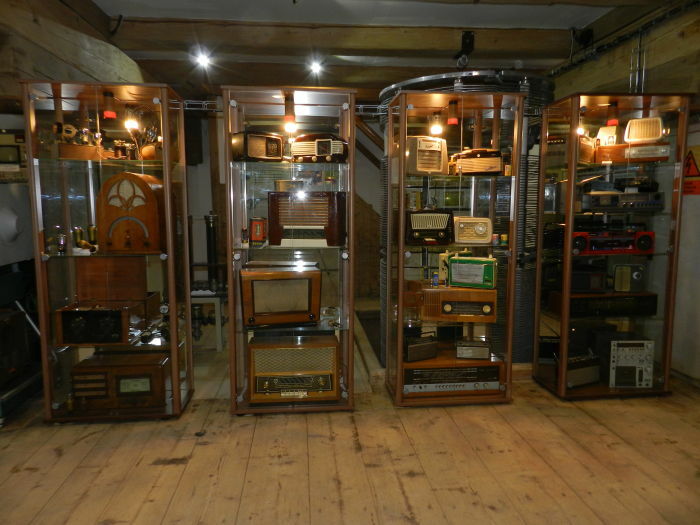 This exhibition also shows the design development of radio boxes and the usage of various kinds of materials from wood, over Bakelite and other plastics to paper, metal and leather element boxes and receiver’s wrapping. 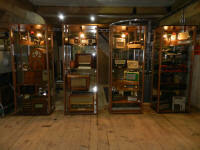 The exhibition is going to last until further notice.